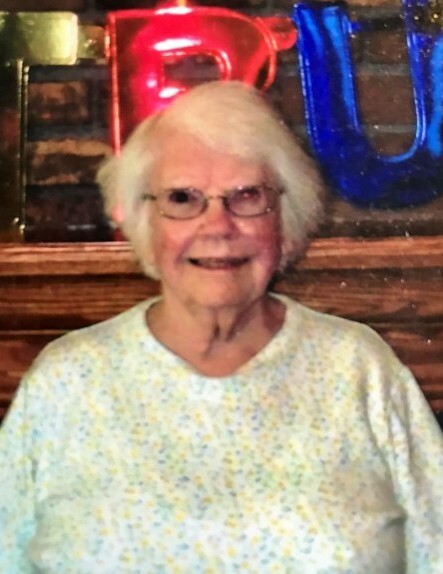 Catherine Kenny, age 99, passed away on Wednesday, October 17, 2018. She was born on November 30, 1918 in Ionia, the daughter of James and Elizabeth (Conroy) Kenny. Catherine was a life long resident of Ionia. She was also a life long member of Ss. Peter and Paul Catholic Church, a member of the Daughters of Isabella, the Rosary Society and graduated from the school in 1938. She retired from General Motors in 1975 after 32 years of service. She was preceded in death by her parents; sisters, Mary Kenny and Aloyse Dixon; brothers, Hugh Kenny, Gerald (Jewell) Kenny and John (Agnes) Kenny. Surviving are her nieces, Diane (Kenny) Struble and Kay (Gary) Arnold; nephews, James (Judy) Kenny, Robert Dixon, William (Mary Lynn) Dixon and Richard Dixon; many great nieces and nephews and great-great nieces and nephews. The Mass of Christian Burial will be celebrated by Rev. Thomas Brown at 10:00 a.m., Saturday, October 20, 2018 at Ss. Peter and Paul Catholic Church, 434 High St., Ionia. Rite of Committal will follow at Mt. Olivet Catholic Cemetery. The family will receive friends 2-4 and 6-8 p.m, Friday, October 19, 2018 at the Lehman Funeral Home, 220 Rich St., Ionia. The rosary will be prayed at 7:30 p.m. The family would like to thank Luminate Care Services, Sparrow Hospice, and friends, Bonnie, Willie, and Virginia for the exceptional care given to our aunt. Online condolences may made at www.lehmanfuneralhomes.com.